It’s hard to imagine many people still calling travel agents anymore to book a vacation or last-minute trip — who needs a person on the phone when you have the internet at your fingertips to compare prices and research your options? But the continuing dominance of travel agents in the cruise industry (one of the very few areas where travel agents still dominate at all) highlights just how finicky that industry is. 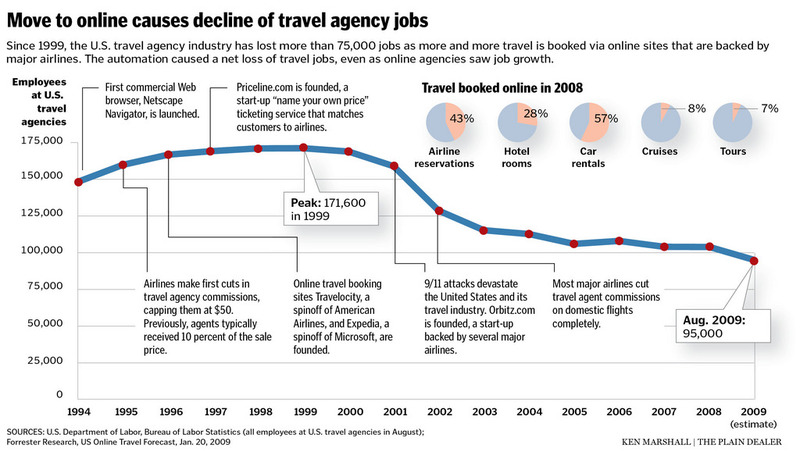 With only about 10 percent of cruises being booked online, it’s clearly ripe for disruption. So it’s no surprise that CruiseWise, the startup that launched in February to aggregate some of the most popular cruises and allow customers to book online, has taken off. With 20 percent growth each month, said CruiseWise CEO and co-founder Amit Aharoni, and direct relationships with companies providing 95 percent of the U.S. cruising market, the 10 percent online-booking figure for cruises might see a bump in the near future. “We like to think of ourselves as the data geeks of the cruise industry,” he said. There are plenty of reasons why cruises are still a difficult travel nut to crack. Customers booking a plane flight start with basic info, usually the two cities they want to travel between, dates and time constraints, and maybe an airline preference. With cruises, the customers are usually booking six months in advance and don’t care as much about specific dates, Aharoni said. But they have to factor in travel to and from the ports, the type of cruise ship they want, the different cruise itineraries (how long you’re cruising versus hanging out in ports), up to 44 different price points for cabins on the same ship, and a variety of options for entertainment and food. Not exactly an easy set of decisions to make, and it’s a big reason why travel agents remain popular in the industry, Aharoni says. But CruiseWise is working to tackle all these issues, allowing customers to book their cruises online and providing them with a database of prices, options, locations, and photos, taking some of the mystery out of the process. They take into account what kind of group you’re traveling with, since most cruises offer discounts for seniors or members of the military or large groups. And CruiseWise offers customer service via phone for people who still want to talk to another human before booking. The company operates under the travel agency model, where they allow customers to book directly through CruiseWise by establishing relationships with the cruise companies, as opposed to the Kayak or Hipmunk, which provide a search engine that re-directs elsewhere for booking. And because it’s a relatively concentrated industry, forming relationships with just six companies gives CruiseWise the edge for 95 percent of cruise travel in the U.S. and Canada. The company raised a funding round of $1.6 million in January2011 from Index Ventures, NEA, SVAngels, Profounders Capital and angel investors in the travel space. Just in September, the company showed its geekier side by rolling out the CruiseWise Port Crowd Calculator that lets consumers check the business of particular ports so they can avoid being one of thousands of tourists hitting up the same on-shore location at the same time. So what’s next for the future of cruising? Aharoni said the next frontier is actually flights, since a huge portion of cruise costs are the flights need to get to and from your port. “By being the first company to do that, I think we’ll be the first comprehensive cruise experience,” he said.